Certain crash diets, which are diets that help you shed pounds quickly, do work well and are backed by research or dieter testimonies. While you shouldn't necessarily follow crash diets long term (unless your doctor recommends it), these eating plans can come in handy when you need to drop weight for an event or competition, are at high risk for obesity-related health complications, or simply want to look good during swimsuit season. Low-carb diets (such as the Atkins Diet containing less than 20 percent of total calories from carbs) are effective weight loss plans, according to a 2016 study published in The British Journal of Nutrition. The Atkins Diet Phase 1 focuses on eating protein-rich foods but limiting carbs, and Atkins dieters expect to lose as much as 14 pounds in just two weeks during phase 1. Founders of the Atkins Diet suggest staying in phase 1 until you're 15 pounds away from your goal weight (as long as you're feeling well enough to continue). This duration varies from person to person depending on how much weight loss each requires. Rather than focusing on calories, you'll instead worry about your total carb intake, which equates to 20 grams daily during Atkins Phase 1. The number of calories you'll actually eat during Atkins Phase 1 varies. Atkins founders stress that while calorie counting is not part of the plan, 1,500 to 1,800 calories for women and 1,800 to 2,200 calories for men is a healthy allotment for weight loss. You'll likely consume fewer calories (800 to 1,500 daily) during Phase 1 when you limit carbs to 20 grams. There are three additional phases in the Atkins plan, but Phase 1 is more of the crash diet phase where you'll likely drop the most weight quickly. The reason is because drastically cutting carbs means you'll reduce total calories. When carb stores become depleted in your body, you'll often drop water weight, too. Another diet that works is the Grapefruit Diet. The reason this diet is effective for quick weight loss is because it contains about 800 calories daily. This type of very low calorie diet plan often results in a weight loss rate of 3 to 5 pounds weekly, according to the National Institute of Diabetes and Digestive and Kidney Diseases. This equates to a weight loss rate of 10 pounds in just 14 days (which is the approximate duration of the Grapefruit Diet). The Grapefruit Diet focuses on high-protein foods and vegetables and requires you to eat a grapefruit (or grapefruit juice) before each meal to help fill you up with fewer calories. A 2011 study published in Nutrition and Metabolism found eating grapefruit before meals is, indeed, a highly effective weight loss strategy. The Grapefruit Juice and Apple Cider Vinegar Diet is a variation of the Grapefruit Diet. As the name implies, the Daniel Fast Diet is a fasting crash diet that gets you weight loss results quickly, according to a 2012 study published in Nutrition and Metabolism. Study subjects lost an average of 6 pounds during the 21-day fast but also lost inches around their waist and hips and decreased total body fat. When following this 21-Day Daniel Fast, you'll avoid all animal-based food products, so essentially you will follow a low-calorie vegan meal plan for 21 days. You're not allowed to eat white flour, refined foods, sweeteners, other added sugars, preservatives, caffeine, or alcohol while completing the fast. The Daniel Fast Diet doesn't focus on counting calories but eliminates animal foods, processed foods, and added sugar, which means you'll automatically cut calories to shed pounds. You'll likely end up eating between 1,200 and 1,500 calories per day. The Zone Diet, which focuses on eating high-protein, low-glycemic index foods, is an effective diet for weight and fat loss according to a 2015 study published in the Journal of the American College of Nutrition. While you aren't going to count calories when following this meal plan, women generally eat 1,200 calories and men about 1,500 calories daily while on the plan. You're expected to lose 1 to 2 pounds per week when following the Zone Diet by eating 40 percent of your calories from carbs, 30 percent from protein, and 30 percent of calories from dietary fat. Vegetarian adaptations are also available when choosing vegetarian Zone Diet menus. Because the Zone Diet is less restrictive than other crash diets and allows a safe rate of weight loss, you can stay on the diet as long as you'd like (or until you reach your goal weight). The South Beach Diet works for fast weight loss because, as with the Atkins Diet, Phase 1 of the South Beach Diet drastically cuts carbs for 14 days. You're expected to lose up to 13 pounds during the two-week long Phase 1 portion of the diet, according to Mayo Clinic. In Phase 1, you'll eliminate sugars, refined starches, and other carb-containing foods like pasta, bread, cereals, fruit, juice, and alcohol. The South Beach Diet Phase 1 focuses on eating lean protein and non-starchy vegetables rather than counting calories. In doing this, you'll cut calories, and as always when going low carb, you'll shed water weight as well. While founders of the South Beach Diet don't give you calorie allotments for Phase 1, you'll likely be eating 800 to 1,200 calories daily to achieve the expected 8- to 13-pound weight loss in two weeks. The South Beach Diet offers vegetarian variations. As with other low-calorie diets, the P.I.N.K. Phase 1 Diet plan allows you to drop weight quickly by reducing your overall calorie intake and cutting alcohol and carbs. During the two-week long P.I.N.K. Phase 1 plan, you'll be eating just 1,000 calories per day for 3 to 14 days (and begin a regular workout regimen). At this calorie allotment, which is classified as a low-calorie plan, you may lose 2 to 4 pounds (or more) per week depending on your usual intake and the amount of extra calories you burn during exercise. You'll focus on eating lean protein, vegetables, and other whole foods during this P.I.N.K. detoxification phase. The reason the P.I.N.K. Phase 1 crash diet works for weight loss is because you're cutting calories and restricting carbs. Always check with your doctor before you begin a crash diet. 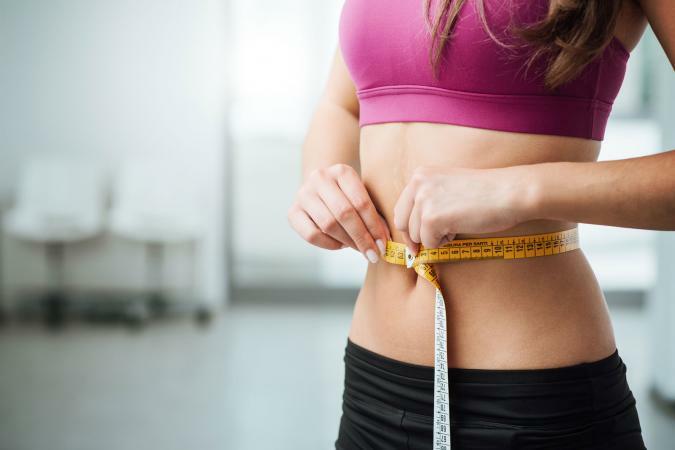 While these diets are often effective for short-term (and quick) weight loss success, they are restrictive and often difficult to maintain for long time periods. Following such diets long term puts you at risk of malnutrition and unpleasant side effects like dizziness, headaches, hair loss, and fatigue.